Note: this special offer available in select states; see coupon details below. Make caring for your home easier with a single plan that covers up to 20 household appliances and systems, regardless of their age, brand or where they were purchased.1 Dealing with repairs and replacements can be costly and time-consuming. A Sears Home Warranty helps you plan for unexpected and provides easy, expert and reliable service. 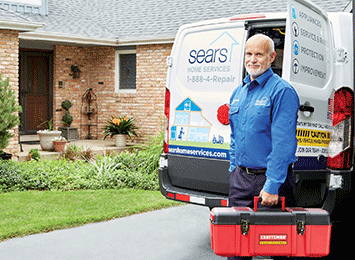 Get two 17-point HVAC inspections FREE when you enroll in any Sears Home Warranty plan. *Offer valid only on new Appliance, Systems or Whole House Plans. Cannot be combined with any other offer. Offer not valid in Hawaii. Sears Home Warranty not available in AK, or Puerto Rico. 1 See Terms, Conditions, and Limitations. Covered items must be in good working order at time of activation. Non-covered charges may apply to certain repairs and replacements. Sales tax may apply to plan pricing. A Sears Home Warranty Plan is for a term of one year. It has a $50,000 limit per contract year and includes a $75-$100 trade service fee per trade claim. Warranty coverage begins 30 days from enrollment.